1. 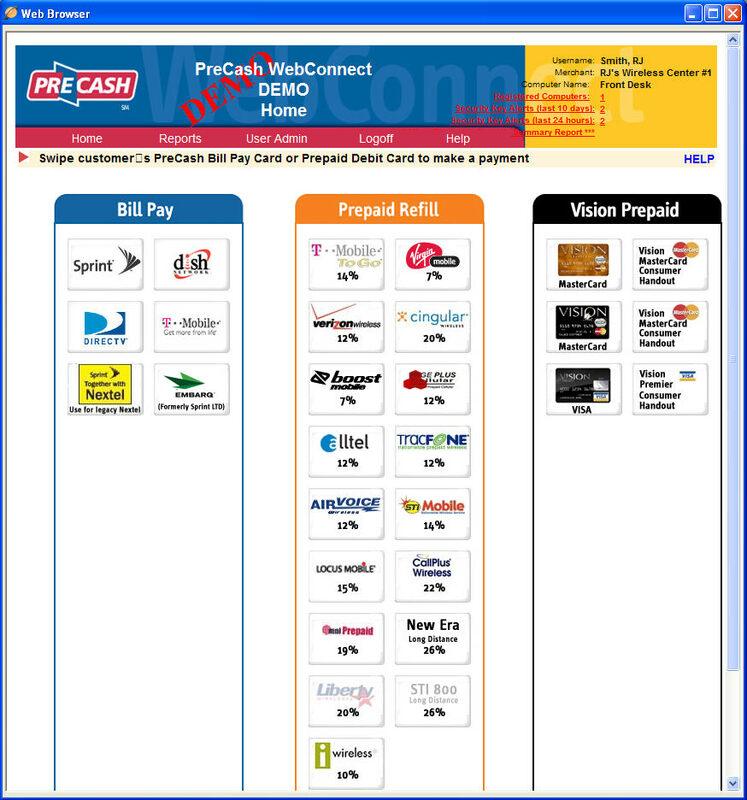 Before you can begin to sell PreCash products you will have to get setup as a PreCash vendor. Please call the Jeff Pinson with PreCash at 713-600-2282 or email jeff.pinson@precash.com to get setup, and receive your WebConnect user name and password. 2. Select Point-of-Sale and click the products sold tab. 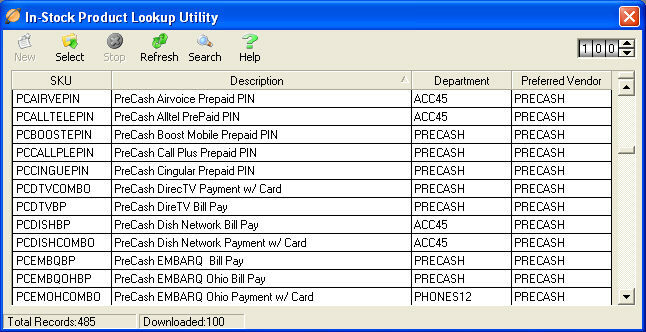 Select the desired PreCash product from the Product Lookup Utility (pictured below) to add it to the invoice. 3. 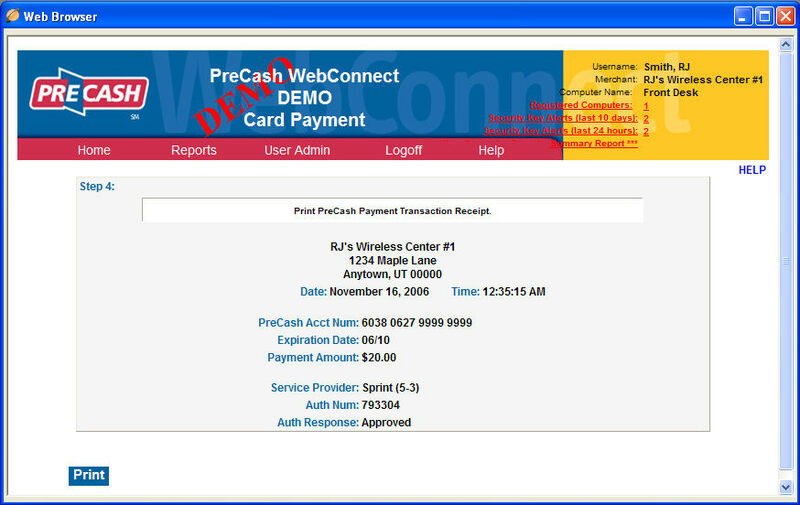 Once the invoice is complete select the Purchase button to continue the sale on PreCash WebConnect. 5. Once the product has been selected and items have been processed, select print to print PreCash invoice and close WebConnect. 6. 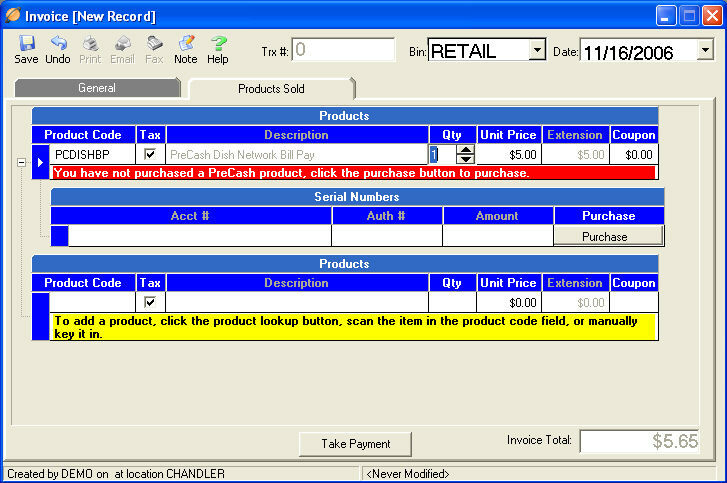 Once WebConnect is complete it will enter the item in TeleTracker and you can complete the sale normally, take payment, and print your TeleTracker invoice.